It was past 8pm and I got a wee bit hungry. 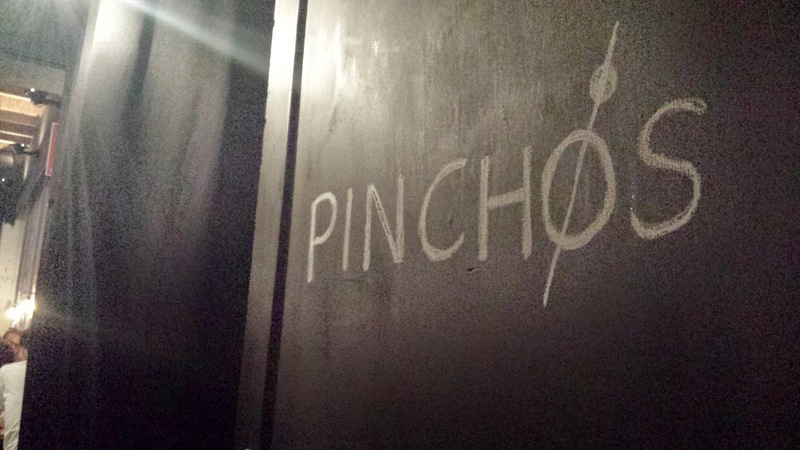 It is the perfect time to visit Pinchos as the chances of a queue is lower and tapas are perfect to just keep the belly happy. 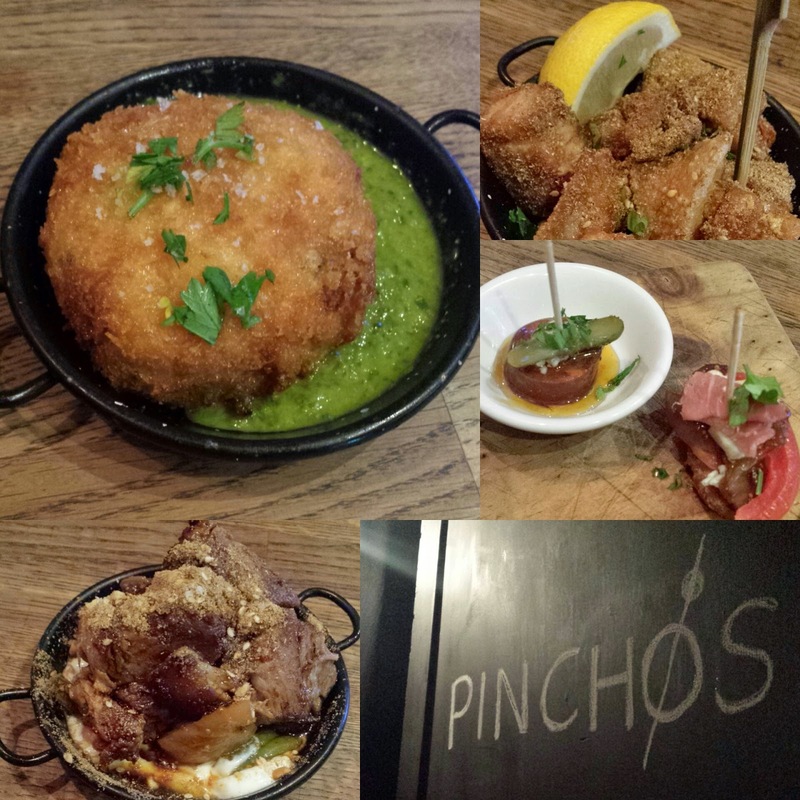 Been wanting to visit Pinchos in Leedy, the new kid on the block. But the last time I went after calling them to confirm it will be opened, they were closed for a media event. It is a order what you want on the paper menu and take it to the counter to pay for it system. 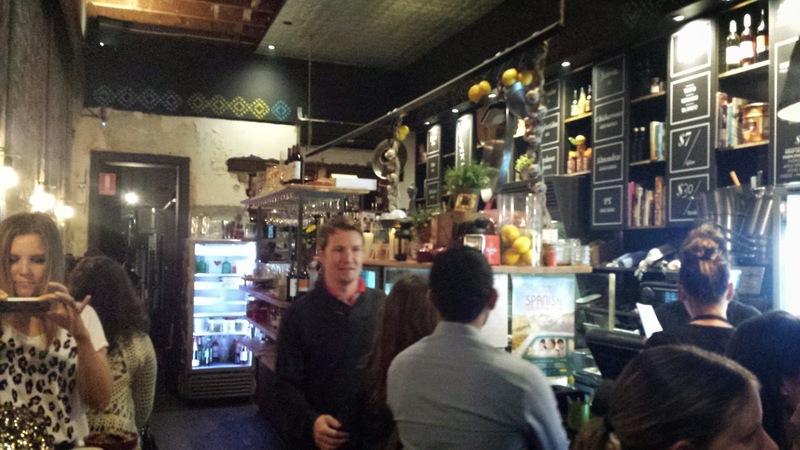 Behind the counter, the fridge holds karafs of housemade Sangria. I was so tempted!!! 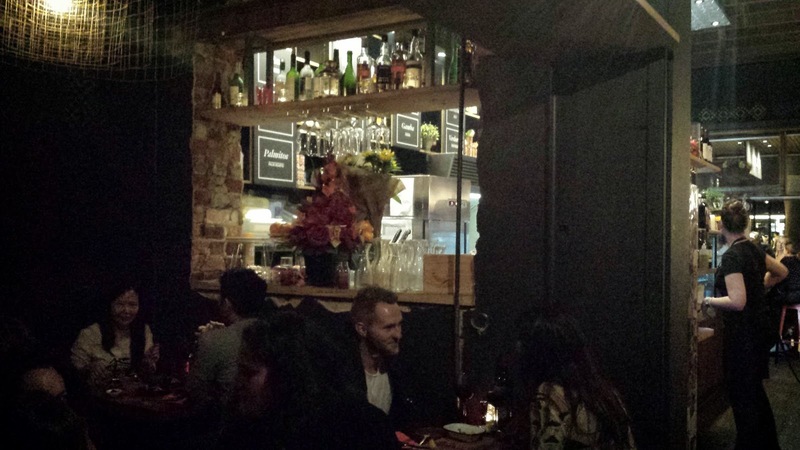 The little alcove at the back is great for a big group I reckon, I can see myself holding a little private function out back but I am not sure if Pinchos do that! 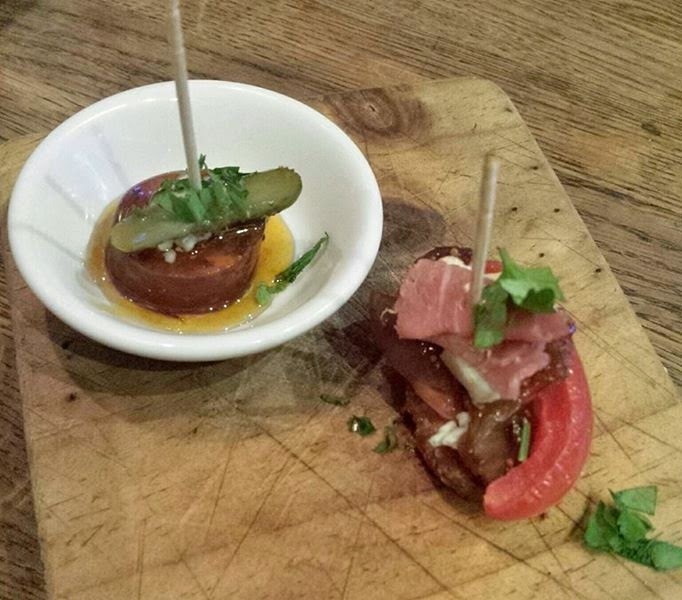 Ordered 2 bite-sized Pintxoes for about $1 or $2 each. 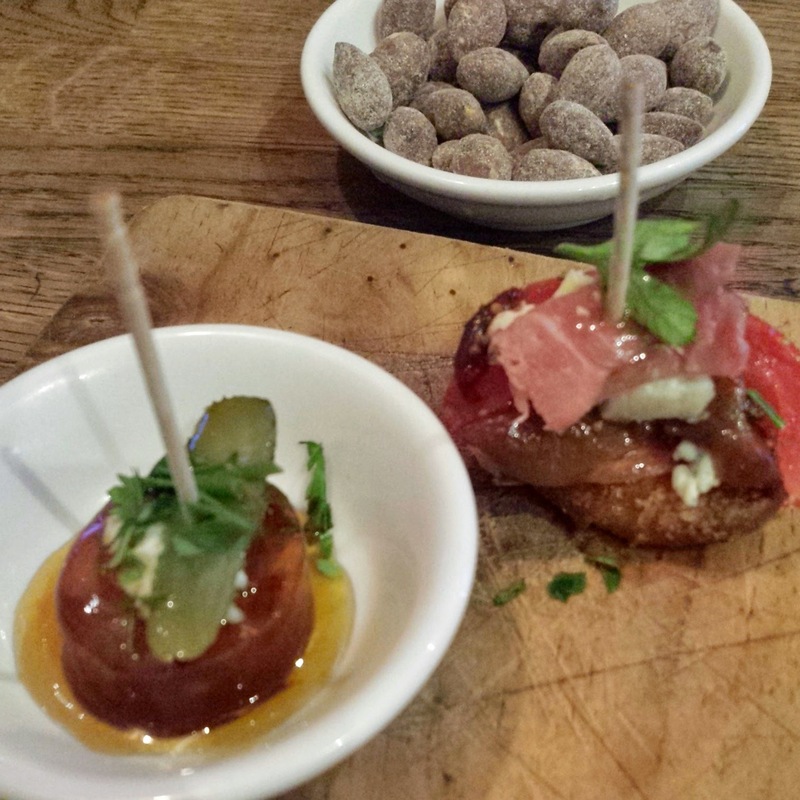 The chorizo was not bad but the Jamon with blue cheese was better! Smoked almonds were alright but really just something quick to munch on while waiting for the rest of the food. 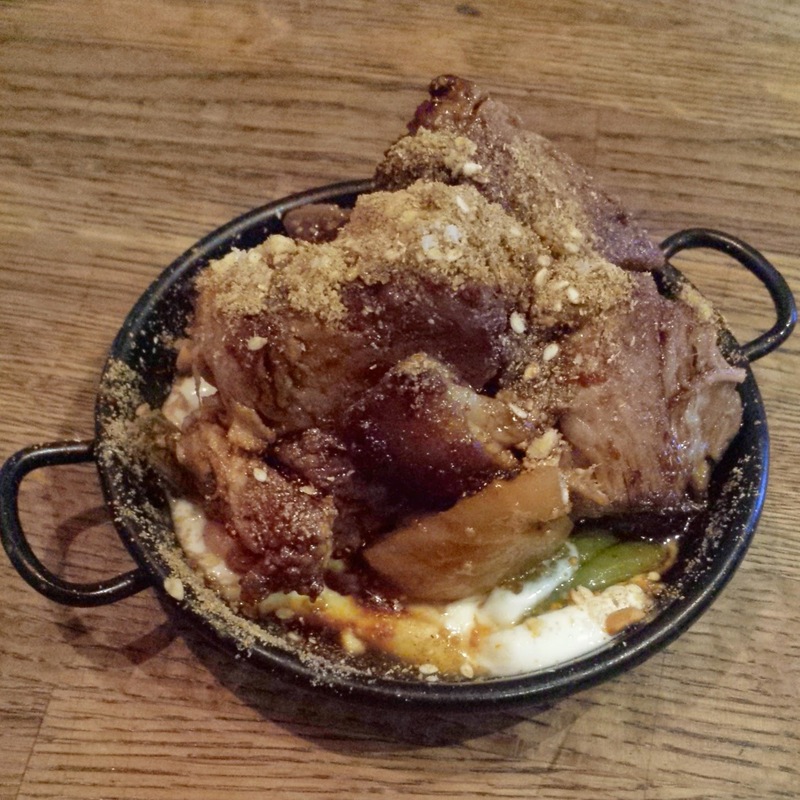 Braised lamb was recommended by a friend and it did not disappoint. The lamb meat was tender and flavourful. The yogurt and beans were good accompaniments but the amount of food they had to cramp into that small little dish, well I rather have a bit more meat now won't we? 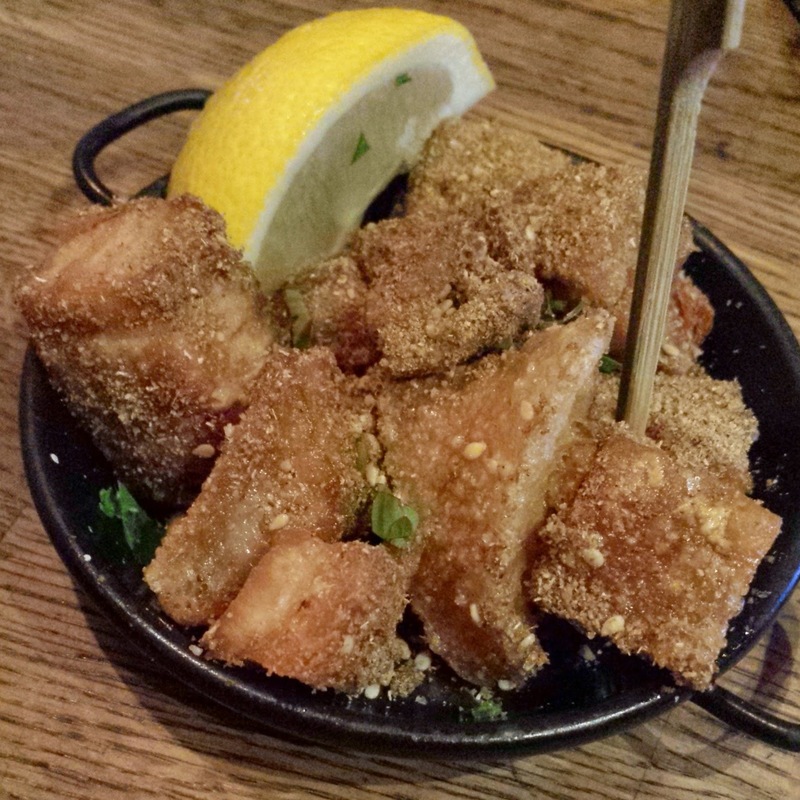 Roasted pork belly was really good... perfect if I had a beer. But may be a little too much fats than some people would like. I am okay with it though! 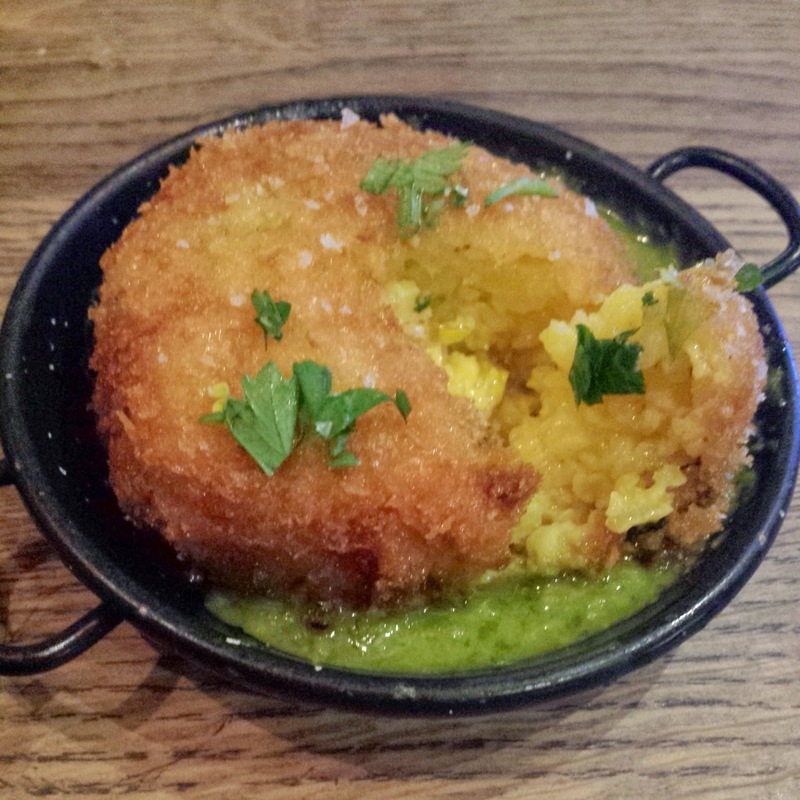 The paella cake was the spanish version of an arancini ball! 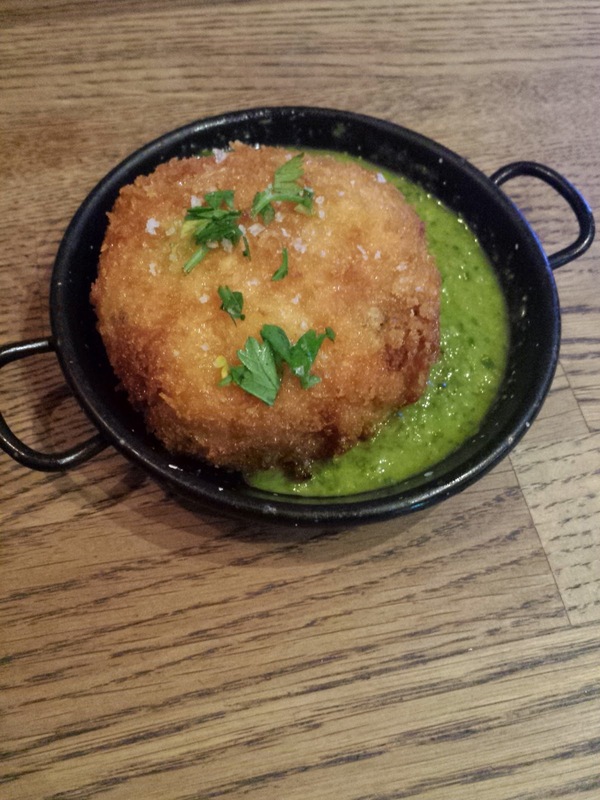 Love the green sauce that matched with the saffron manchego paella cake. One of the favourites of the night. It was a very light dinner that costed about $28. While the menu seemed cheap at first sight, a hungry person will easily rack up quite a bill by the end. So the next time I return, it will be just like that evening. Wanting a wee bit of food to satisfy a relatively greedy but not so hungry tummy!